Treasury determined on carbon tax…..
Insofar as the policy behind the need to implement a carbon tax, for whatever reason, there appears to a vast disconnect between cabinet and the various affected government departments, treasury and energy users, said Mike Roussow, head of the Energy Intensive Users Group (EIUG). This main point arose in a discussion group called together by chair, Sisa Njikelana, of the parliamentary portfolio committee of energy in an attempt to find some common group on the need for such a tax. He had invited the various parties for a round-table discussion on the subject in order to put their views. Present at the meeting were such major players such as Eskom, Exxaro, BHP Billiton, the South African Petroleum Industry Association (SAPIA), the pulp and paper industry and Sasol. Treasury was represented by treasury directors Ismael Mamoniat and Cecil Morden. 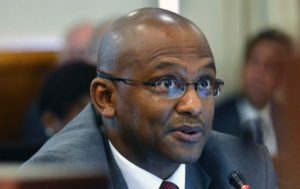 However, with only members of the portfolio committee on energy present but no representatives of department of energy (DoE), department of water and environmental affairs (DWEA) or department of agriculture and fisheries (DAFF), nor any other portfolio committees such as trade and industry or environmental affairs, the discussions had little depth, said Rossouw. Treasury added to the discussion by stating that the point of departure was the White Paper on Climate Change and this was the basis for the tax proposals before them. The object was to change behaviour but unlike smoking legislation, such a tax would be introduced at a very low level so that energy users with emissions got used to the idea, thus giving a longer period to adjust, bearing in mind the costs of doing so. “The worst scenario would be to wait and to introduce a sudden and crippling tax in years ahead” said Mamoniat. The treasury officials referred to shale gas and sea gas possibilities, recognizing that these may change the energy mix or the energy scenario, and treasury officials noted that whilst business did not like taxes and would object to their introduction on principle, a system had to be started and once going this would change behaviour. Much of the debate centered around the fact that South Africa, with its slow rate of economic growth, business was not in a position to contribute to being a world leader, least of all being amongst the first to introduce such a tax globally. “Perhaps we should not be leaders, but simply fast followers”, said one party to the debate who objected to the tax. Eskom said it was saving most of its comments for the official responses to the carbon tax policy proposals recently gazetted but said that every unit it had was running at full capacity during the winter period and the cold weather currently being experienced, all effort being expended to accommodate the integrated resource plan (IRP), the anchor document for energy direction “to which the carbon tax proposals makes not one reference”, they complained. The Eskom team presenting, headed by Ms Caroline Henry, acting finance director, was pointed when said it was totally premature to introduce such a tax especiallywhen DWAE and DOE were still working on producing an integrated energy plan for the country. The treasury proposals, she said, represented bad timing in every respect, bearing in mind that President Zuma had already announced that the country had no intention in changing its investment conditions or the economic scenario with any new conditions. 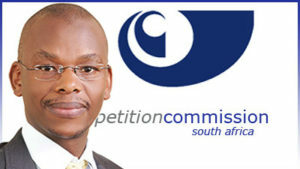 Such proposals were totally inappropriate therefore at this time, Eskom said. Eskom added that the IRP already came up with a 34% savings factor on emissions but what was not needed at this stage, they concluded, were additional costs and further taxes added to a plan they had been working to for a long time. Mamoniat appeared unmoved by this objection. Sasol volunteered the remark that to introduce a carbon tax fully knowing that the country was totally reliant on coal gave the impression that they were out of touch with reality. They pointed to the fact that cost of the country’s exports were mainly energy intensive resulting in South Africa loosing competitiveness, if this course were adopted. 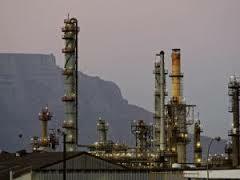 Sasol agreed that a carbon tax was one of many tools that could be used in causing industry to further mitigate the effect of carbon emissions but its introduction now was premature, they said. 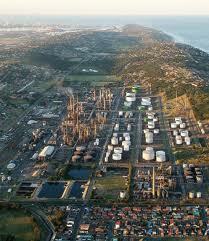 The costs to Sasol would be prohibitive in any case when applied to certain operations. “We should not introduce a tool that can make no difference to a situation”, said the Sasol representative, who added, “Asking not to introduce a tax is not to say we are doing nothing. 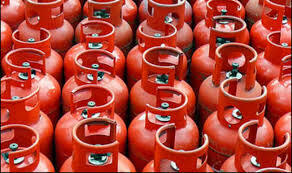 Plenty is being done in mitigation of emissions. This country is one of the leaders carbon reduction programmes worldwide”, they added. 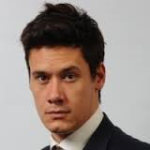 SAPIA called for a practical approach and asked what really the industry could do that was not already being done. 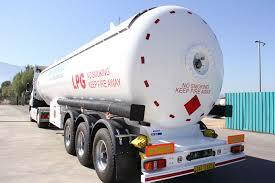 Already the petroleum industry was over-committed to modernisation and new fuel specifications. The current world oil importation story placed the industry in a delicate position, as treasury must have surely realized, they said. Quite clearly in the petroleum industry, said SAPIA, there is no satisfactory return on investment and the only sensible recourse in their mind was to provide conditions where the motorist was called upon to reduce consumption. EIUG repeated their initial supposition that there appeared no joint departmental overall government approach to such a tax which appeared to be the brainchild of treasury, possibly in conjunctions with DWEA. They said that it appeared that neither appreciated how much was already done and what was being planned in terms of the climate response policy calls, both globally and locally. Eskom concluded that it was disingenuous of treasury department to suggest that nobody was doing anything answer to reduce emissions. 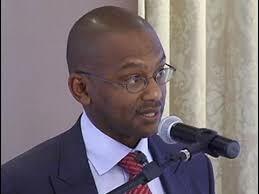 In any case, the tax was not being introduced at a low rate, they said and Eskom produced figures showing the tax as suggested when applied to current production output numbers which they said would be quite crippling. They added that the effects of the tax on the Medupi and Kusile power station projects when in production totally contradicted treasury calculations on the same subject. The discourse was closed by the chair on the note that carbon tax as a proposal could not proceed in a vacuum and he acknowledged the point that it seemed reasonable not to consider this before the production of the final integrated energy plan had been tabled and agreed upon, let alone agreement on the final energy mix involving nuclear, gas and clean energy renewables. Parliament is now empowered to deal with a Money Bill as a result of the 2011 amendments to the Constitution should the carbon tax policy paper result in a draft Bill for public comment but it could be considered unusual in these early stages of parliamentary development on the issue to exercise such muscle and the matter no doubt depends on what message comes down from cabinet to party whips. The Bill would come from the Minister of Finance.